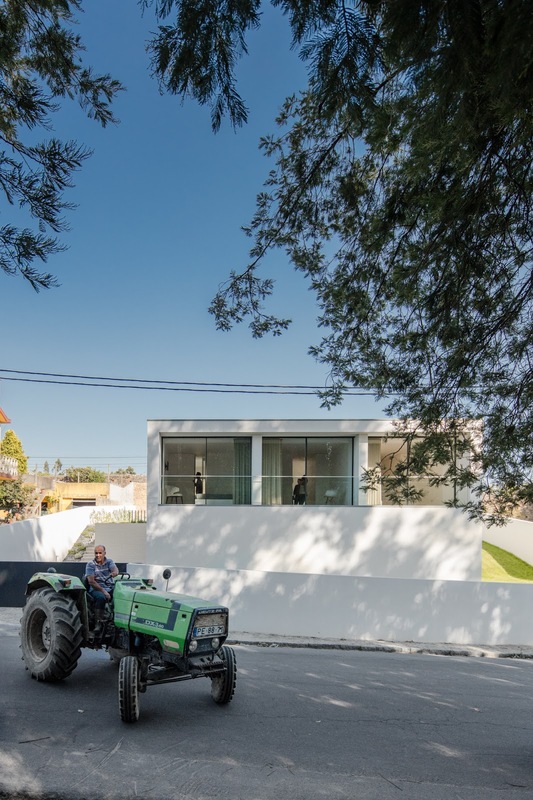 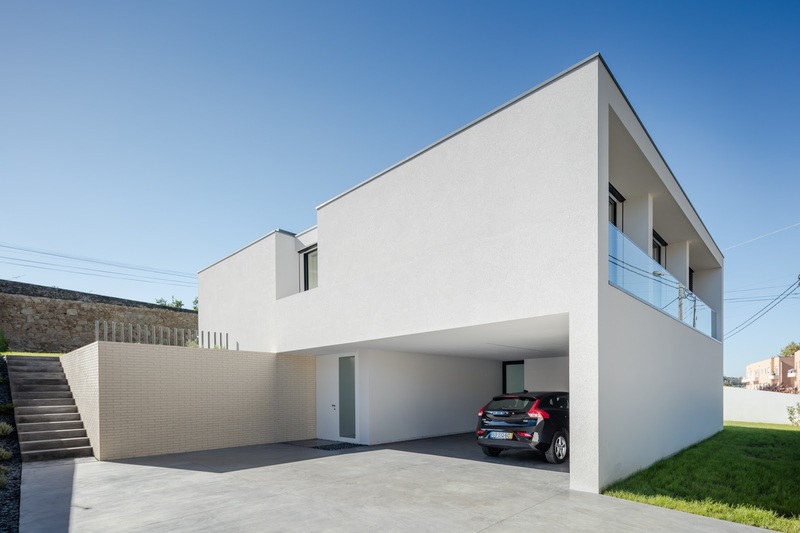 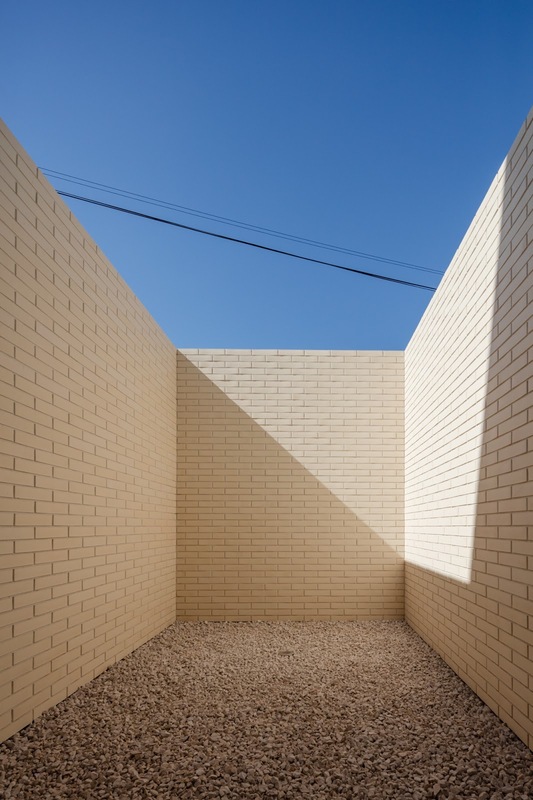 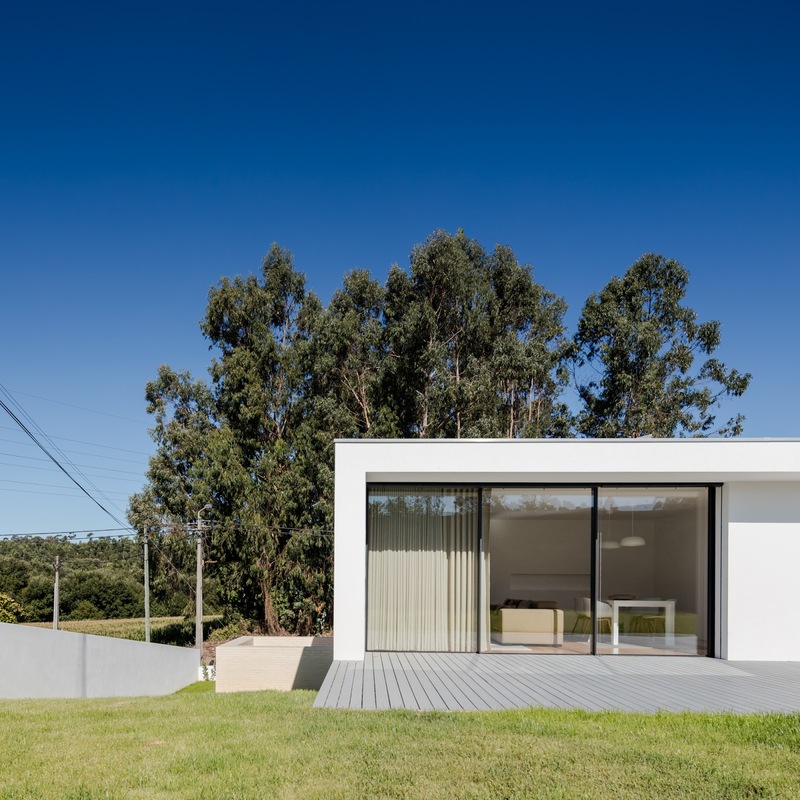 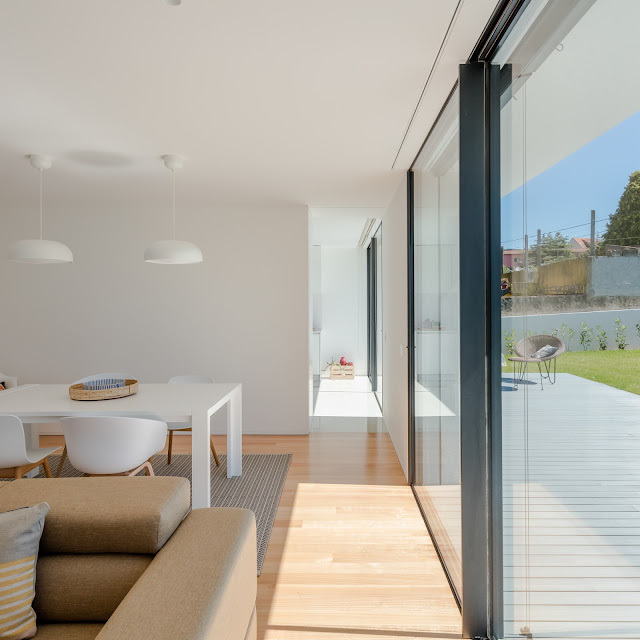 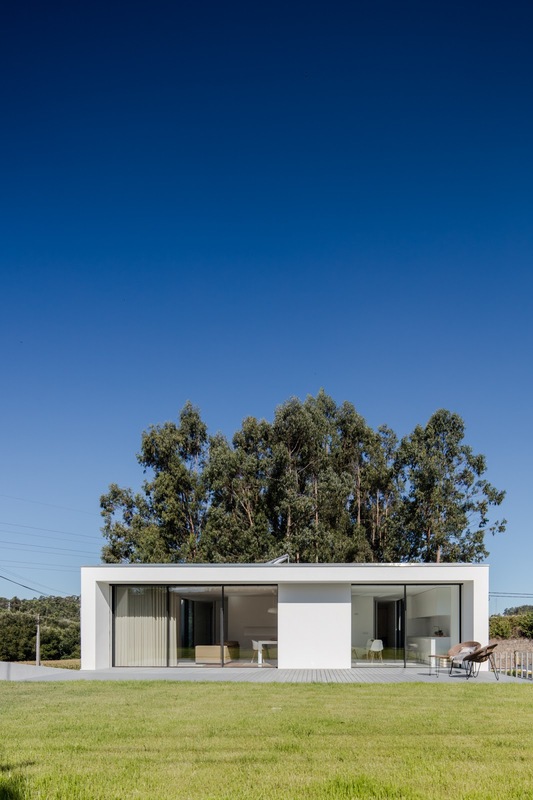 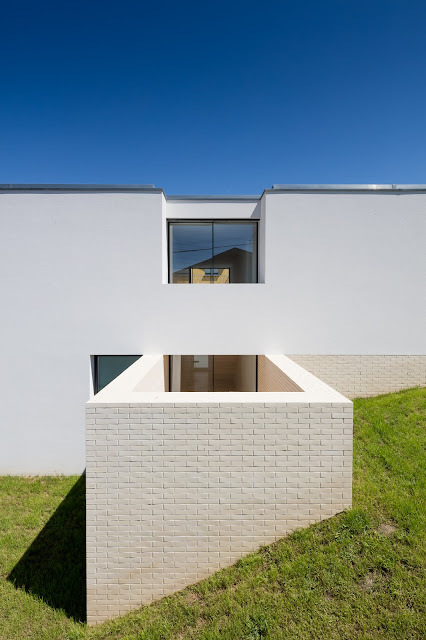 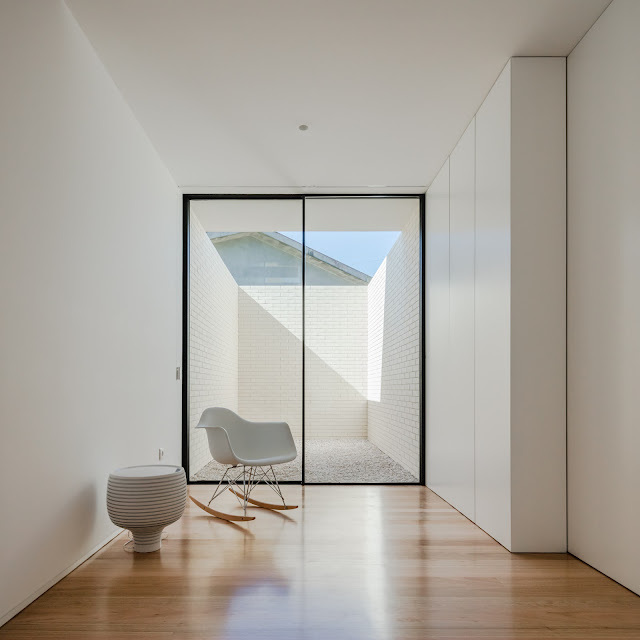 The implantation of the house meets the street lineup of the surrounding houses and allows the lateral access on the north side of the property for the footpath and the driveway. In the backyard, we decided to demolish the existing sheds and to recover the old stone wall, a typical feature of the region. 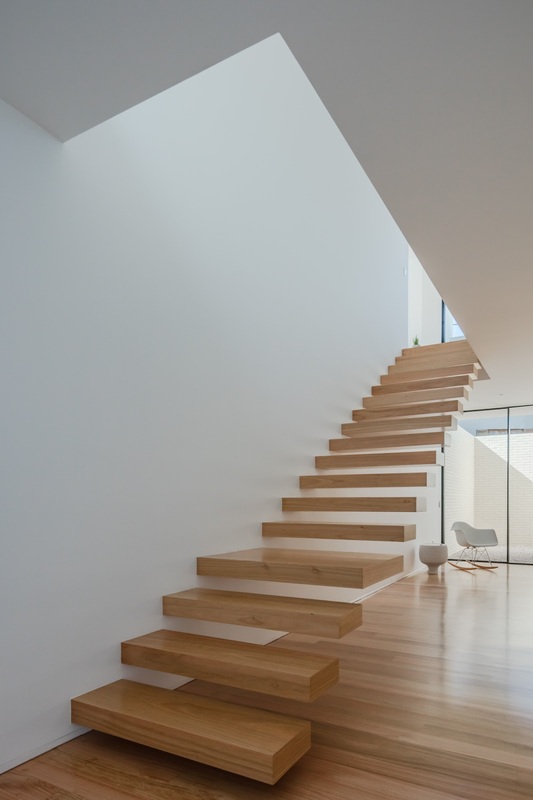 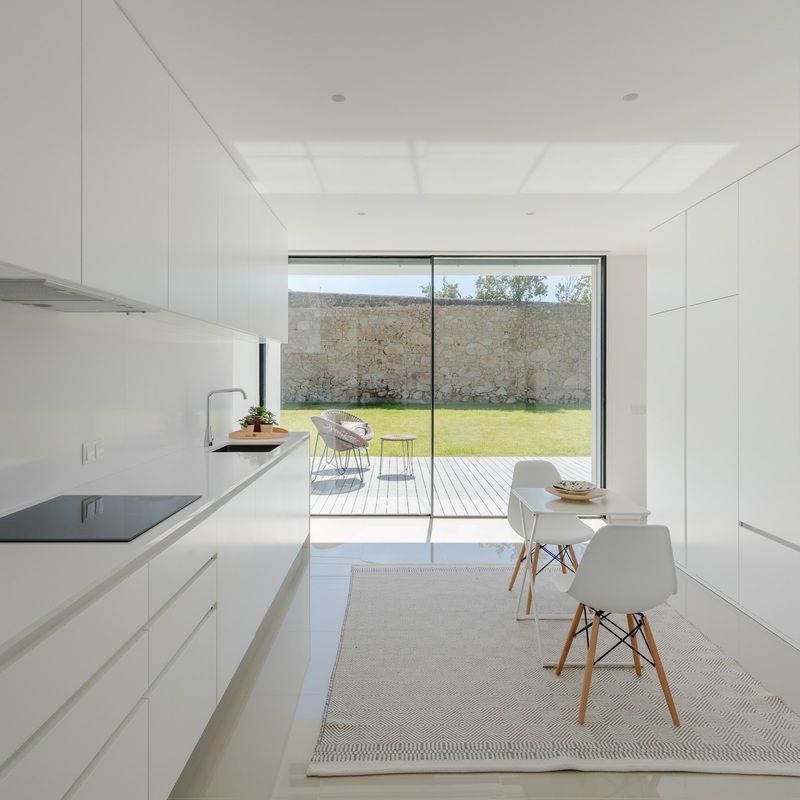 In the lower floor, which occupies about half of the implantation, we have the garage, the technical area, the laundry room and the main entrance with the stairs to the upper floor, which is lit by the south facing patio. 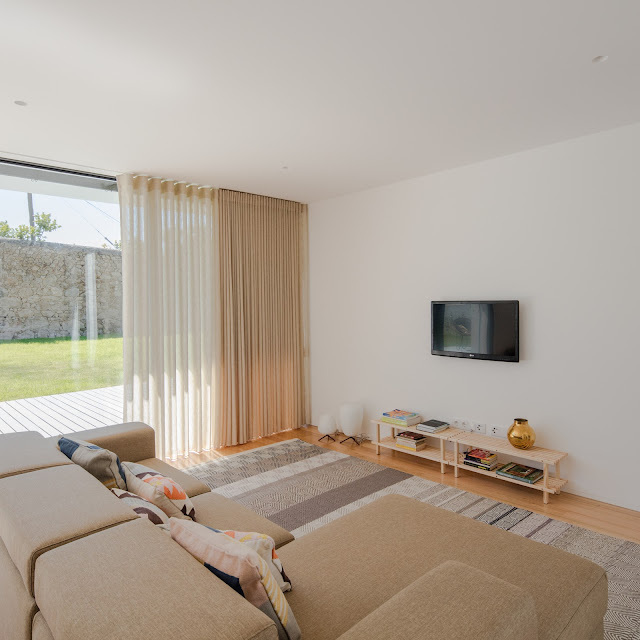 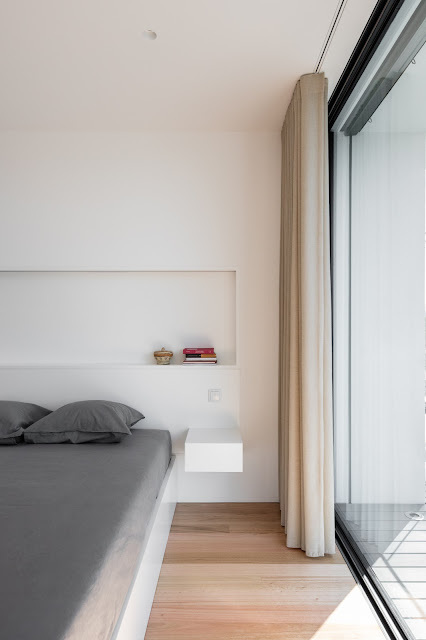 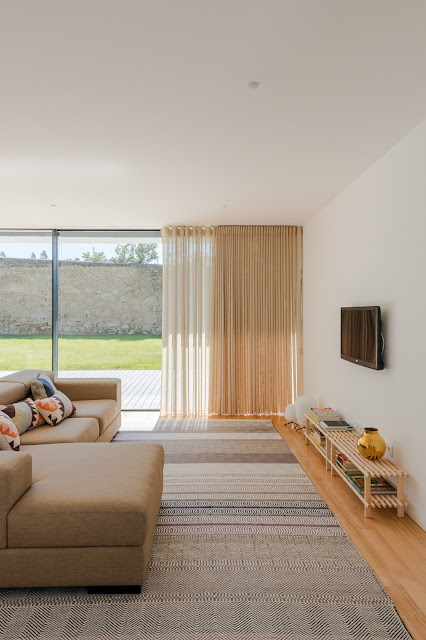 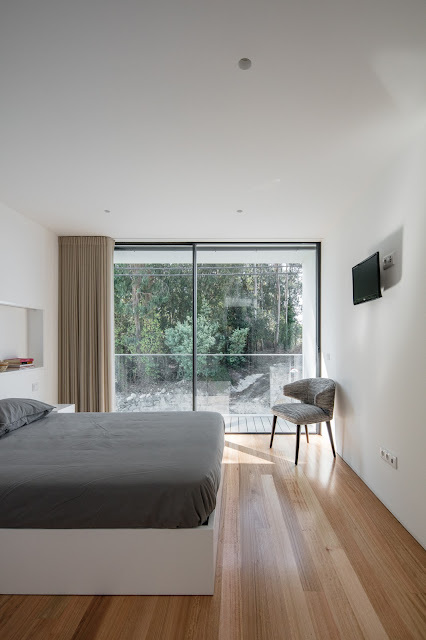 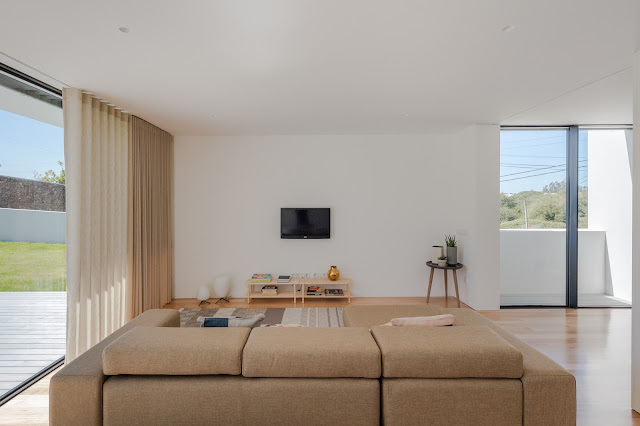 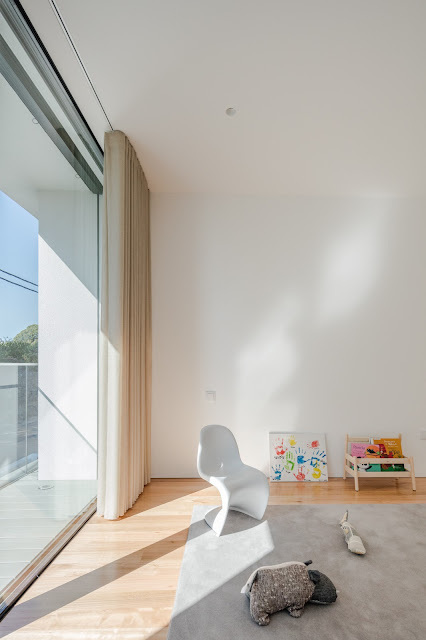 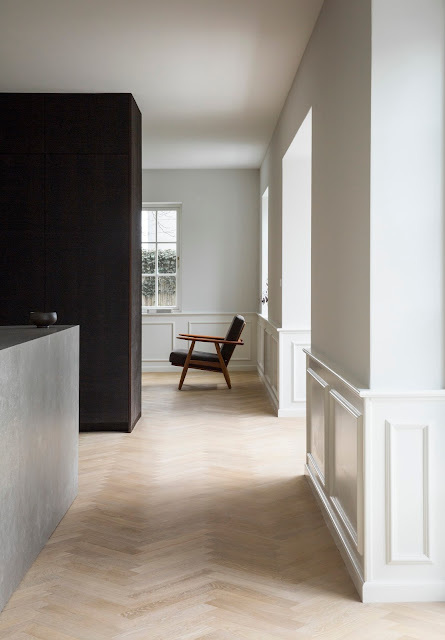 Upstairs, there´s a central aisle that separates the social area of the house and the bedrooms area, accentuated with small balconies on each end. 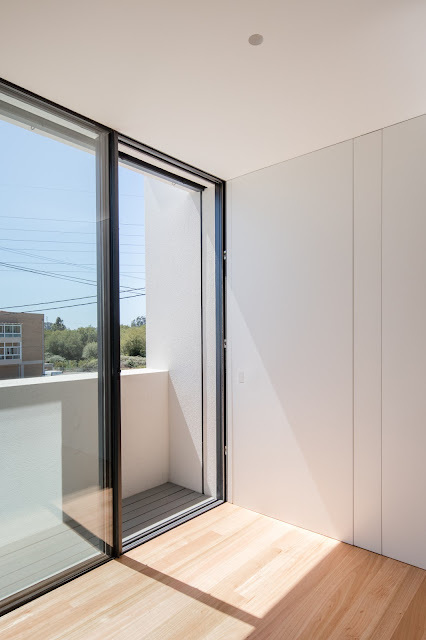 Facing the street there are three bedrooms with a shared balcony, one of which is a suite with a private bathroom illuminated by a skylight. To the posterior zone, more sheltered and connected to the backyard, we have the kitchen and the living room, spaces which are extended to the outdoors through the deck area.